We are pleased to offer enterprise-class services at our latest California bay area location: Internap on Mission College Blvd. The facility offers high power densities, room to grow, and redundancies designed to keep your Internet presence online 24/7. Located in the heart of Silicon Valley, the Santa Clara location is fed by dual power grids, and can handle up 18kW per cabinet/rack. N+1 redundancies for backup generators, UPS and cooling serve to maximize environment uptime. The Santa Clara data center has been awarded LEED, ENERGY STAR and Green Globes certifications for energy-efficient design. Site amenities include office space, technical workspace, and a full-service lounge. 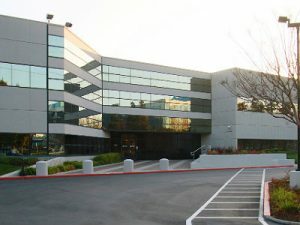 Datacate offers a multi-homed carrier blend at our Santa Clara location, featuring Level 3 and Cogent Communications. We’ll provision your colo with multi-homed IPv4 and IPv6 address space from our own allocations, or you can bring in your own direct allocation(s), and we’ll either advertise them for you or provide you with a BGP session so you can control your own announcements. In addition to our standard bandwidth blend, the following carriers are available at the facility: Abovenet (Zayo), AT&T, Cogent, Global Crossing, Inteliquent (Tinet), NTT, Savvis, SVP Fiber, Telia, TW telecom and Verizon.